Discussion: What do you think makes a great leader and how can you recognize these traits in others? · The true power of effective communication for remote teams and what can we do to improve it? – How are remote teams different from on-site teams? – What are the unique needs and demands of a virtual team? · How do you recognise (remotely) when it is appropriate to lead or when to manage? – How can you track, measure and achieve performance objectives? Trust through technology: Stressing the importance and benefits of building trust throughout your organisation especially when remote and virtual teams are engaged. Practical Exercise: What are some of the digital tools and methods to improve the productivity and efficiency of your remote teams? Practical Exercise: Delegates will reflect and assess the effectiveness of their own managers, team leaders and team members. What are areas that can be improved further? · What are the biggest motivators for your team? Discussion: What can you do to become a better remote team leader? · Deep dive: Why did IBM and Yahoo make workers return to the office? Did it work? 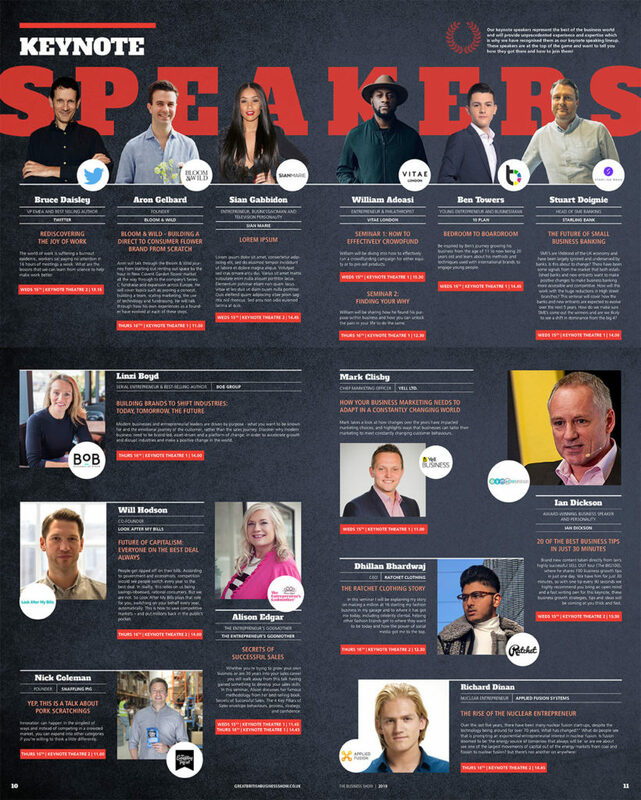 19oct09:00- 16:00The BIG200 Experience100 Business Tips delivered in just one day! NOT to be missed! 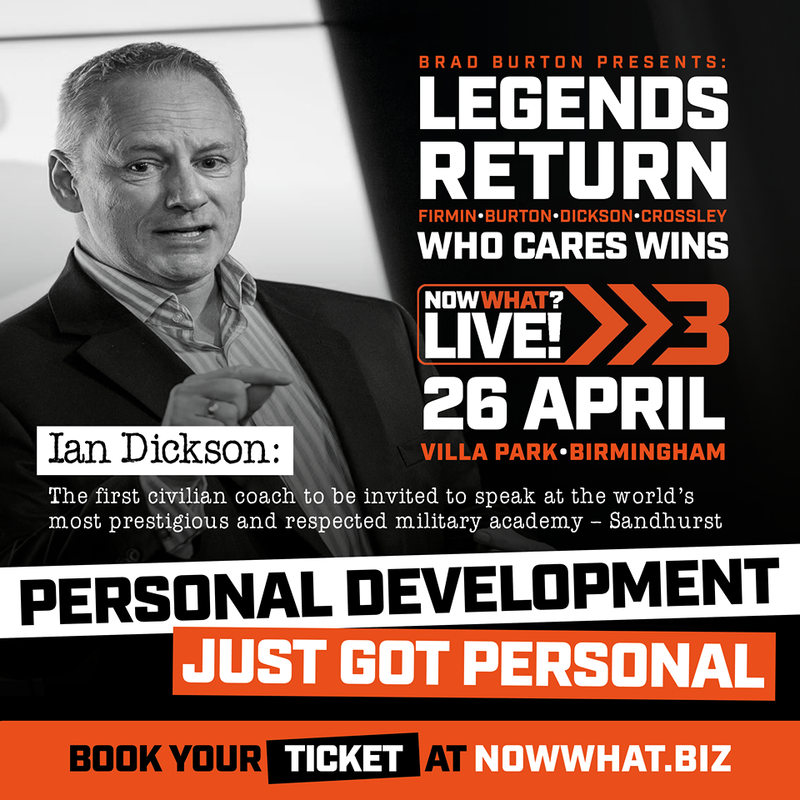 Just £10 refundable deposit will secure your seat today. We have SOLD OUT EVERY event since 2015. 200 BUSINESS OWNERS coming together to share 100 BUSINESS TIPS for just £100 including VAT. All covered by a FULL 100% money back guarantee. NOW It’s 2019! – Time to take the BIG100 to the next level – Welcome to the BIG200 Experience! How come it is now the BIG200? – We want to turn the amazing levels of energy you all produce to whole a new level. We know 200 business owners in one room for the same purpose is going to be simply incredible. It’s impossible to describe the feeling and benefit of spending a full day with so many like minded business owners like you will provide. YOU SIMPLY HAVE TO BE THERE! Why 22nd June 2019? – BANG SMACK IN THE MIDDLE OF THE YEAR! This date is not a coincidence. It is perfectly dated for maximum effect for you and your business in 2019. Consider it the mid year checkpoint, marker or milestone. STOP – REVIEW – LEARN – SMASH those targets. That’s a SATURDAY right? – This day of the week is not a coincidence either, we recognise not everyone can take a full day out of their busy schedule during the week. So we have decided to give you all the very best opportunity to be there, and maybe have a weekend away too! Highly commended ~ Business Personality of the Year – Business Excellence Awards 2016. 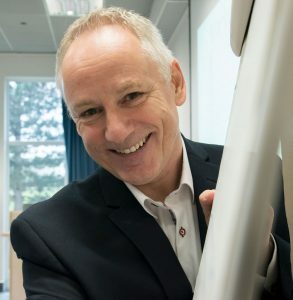 ~ Hi there, my name is Ian Dickson and I am a Multi award winning Business Coach and Motivational speaker and I would love it if you would join me on 22nd June 2019 for this one-off business tips “Tsunami-style” day of business growth content. We will literally be firing “game changing” business tips, strategies and ideas at you throughout the whole day. 100% Money Back Guarantee ~ We have put together an amazing list of PUNCHY – CONCISE – EASY TO FOLLOW tips, strategies and methods that I just know will blow you away. If you can’t find some “game-changing” concepts and ideas in here I will personally refund your £100 and offer you a free one hour 121 session as an apology. Simple concept – Deep content ~ The day is really designed to be very simple in concept, but deep in content.. Approximately every three minutes throughout the entire day we will be sharing a new fantastic proven business tip with you. So you will most definitely be needing an clear mind and a set of fast writing pens. This is going to be a full on day! THREE TIMES SOLD OUT EVENT in previous years – PROVEN CONCEPT! Everything here is designed and created with the SME business owner in mind. Whether you are a business start up, a sole-trader under the VAT threshold or a medium sized business employing numerous staff and turning over several million pounds a year there will be something of value for you here. Talking of staff, there is great value in having your team here too. Speak to me for group ticket pricing for your team or business partners. 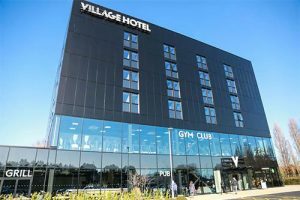 The Village Hotel Portsmouth – Stunning BRAND NEW Venue! The brand new Portsmouth hotel opened in late 2017 and is located in the Lakeside North Business Park. Located to the north of Portsea Island, with excellent transport links to both the city of Portsmouth and the wider Hampshire area via the M27 and the A3. Parking is free of charge, and Cosham train station is just a short walk away with a regular service into the city centre. And at our Portsmouth hotel, you’ll find everything you need in once place, with a business space, a gym, Starbucks, restaurant and bar, all in one location. To check availability or to book your stay with us click here. BANG BANG BANG – One tip after another, light bulb moments! 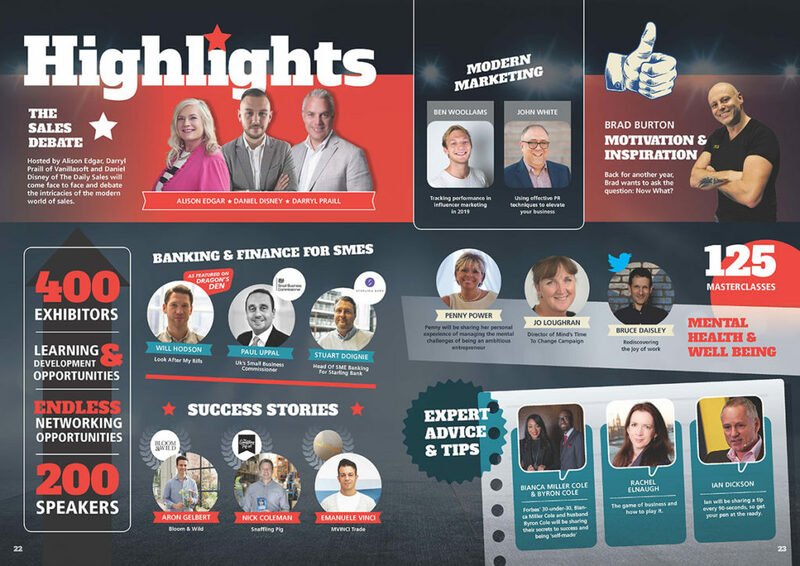 Just £10 secures you a seat for this BIG 200 Business Experience for 2019. BOOK TODAY and join up to 200 other Business Owners on this NOT TO BE MISSED day working ON your business.